It’s no secret that great coaches are always looking to grow and adapt as leaders. 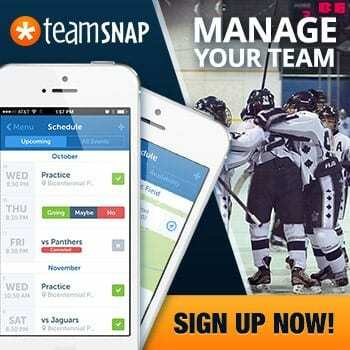 The presenters who take the stage at our annual TeamSnap Hockey Coaches Conference are always on the lookout for new ideas that will enhance their program. 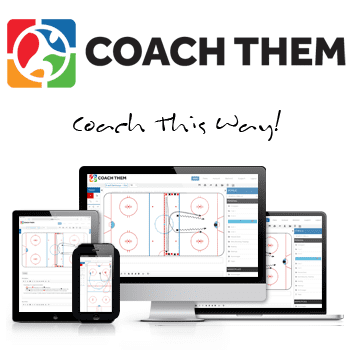 While they take away a lot from observing their hockey coaching peers, they often reference looking at methods that are successful in other sports and even the business world. Great coaches are lifelong learners. They are obsessive about staying ahead. It consumes them. 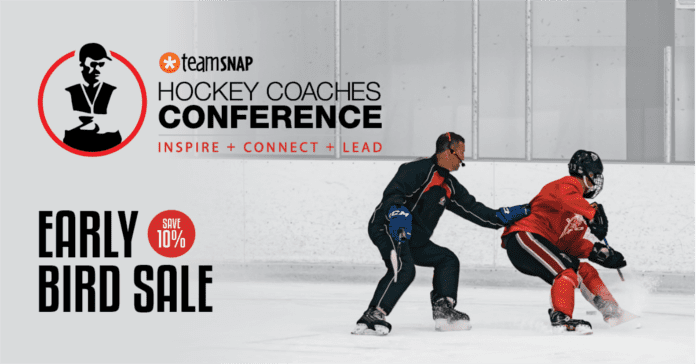 Every year we approach a coach from a different sport to come and speak at our conference. This past summer, the perfect candidate happened to be in our own backyard. Blake Nill took over the UBC Thunderbirds football program in advance of the 2015 season. Blake inherited a team that was coming off a record of 2-6 and hadn’t enjoyed a winning season in ten years. The expectations were high as Blake has had previous success with turning around programs at Saint Mary’s University and the University of Calgary. All told, he came to the Thunderbirds program with two Vanier Cups (Canadian National Championship), four Coach of the Year awards and an overall record of 130-47. Still, no one could have predicted what would happen next! Under Blake’s guidance the Thunderbirds would finish the regular season with a record of 6-2, followed up with a Cinderella run all the way to the National Championship game (they won three straight elimination games all on the road) where they would go on to defeat the host Montreal Carabins to capture the program’s 4th Vanier Cup. If this story had unfolded in the NCAA football ranks, Disney likely would have acquired the movie rights! Blake’s process for building winning programs has come over time and helped him develop a confidence in terms of how he approaches everything. The result is what he calls COMPETITIVE INTEGRITY. 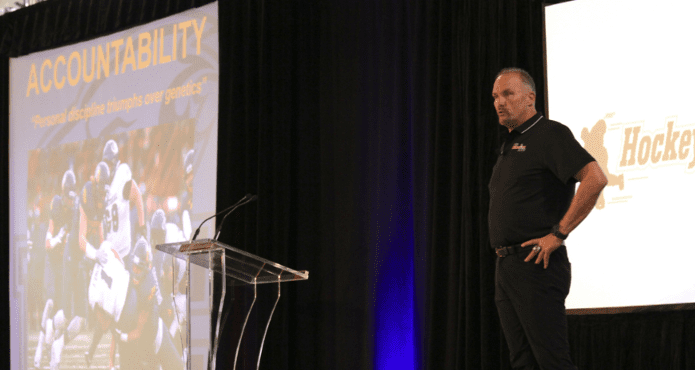 After hearing Blake speak at our conference, one thing became clear; the UBC Thunderbirds surprise run to a National Championship was not an accident or a fluke. By instilling winning characteristics into his players he was able to turn them into a winning team. Below is an excerpt from his presentation this past summer at our annual TeamSnap Hockey Coaches Conference in Vancouver.